Last year, I went on a week-long vacation in Italy. 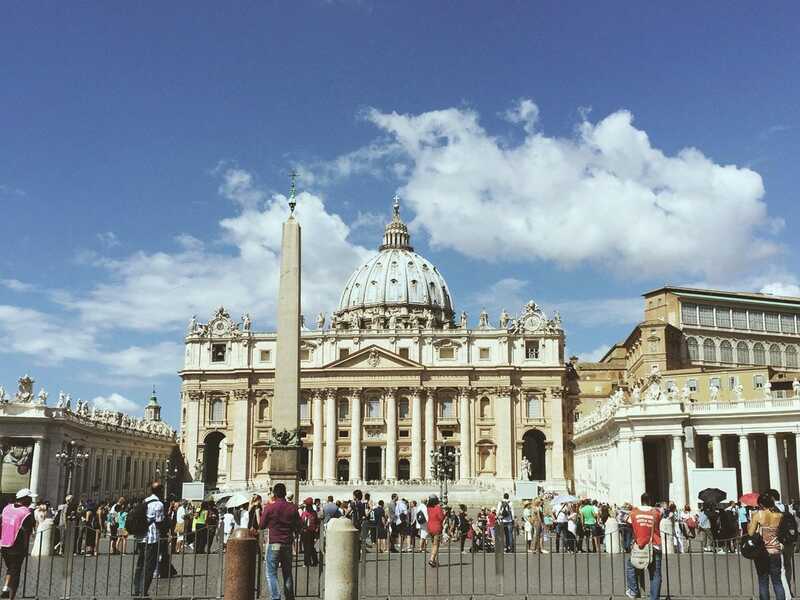 Our first stop was in the historical city of Rome. 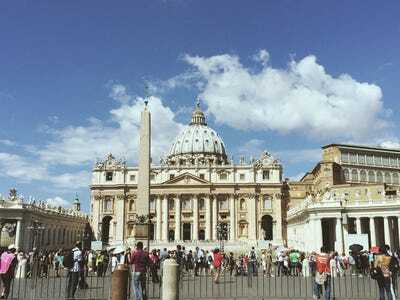 I’m not much into touristy things, but I knew I had to see the Colosseum and the Vatican. 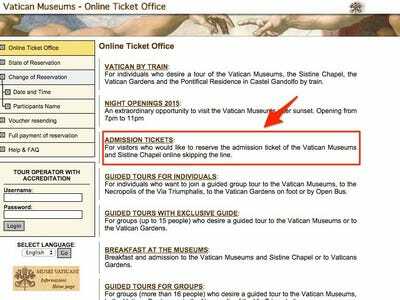 Luckily, a friend who spent a summer in Rome gave me a crucial piece of advice about visiting these two hot spots: Buy tickets in advance online. 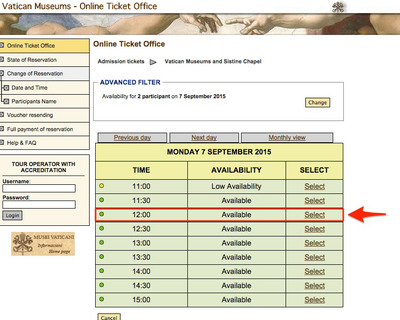 The lines to get into the Colosseum, the Vatican, and the Sistine Chapel can be hours long. 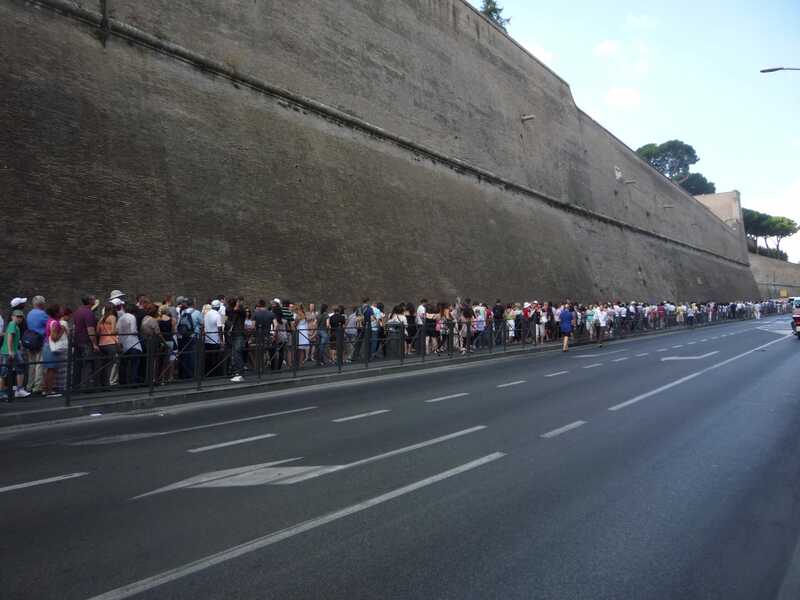 On the day we visited the Vatican, the line wrapped around two long blocks, and it was more then 90 degrees outside. Luckily, we were able to bypass everyone waiting on line and walk in right away. 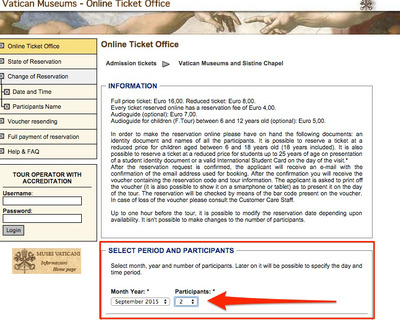 It will cost you a few extra euros in processing fees (€4 each for the Vatican), but buying a ticket online and printing it out before your trip can save you hours of precious vacation time. 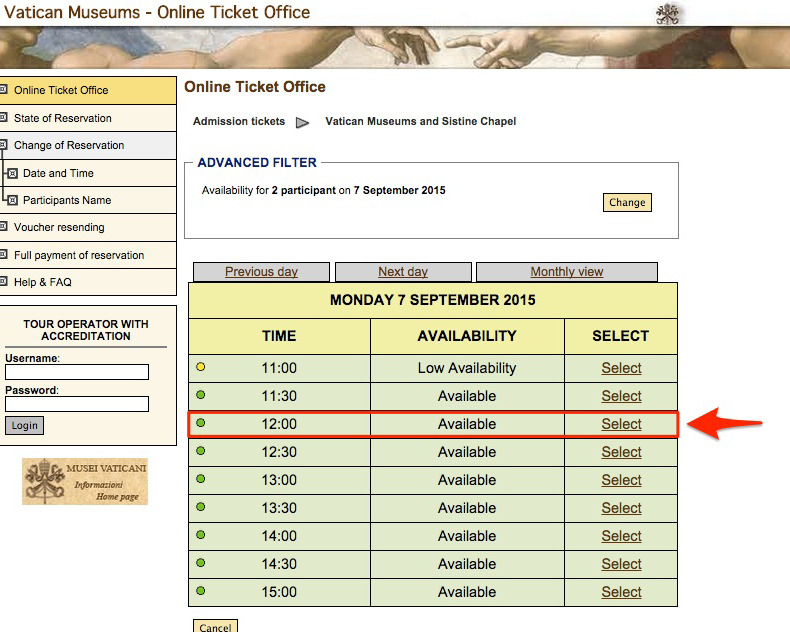 And when you book a ticket, you pick a specific time slot, making it easy to plan the rest of your day. Flickr via Photo928The line at the Vatican often wraps around several blocks. 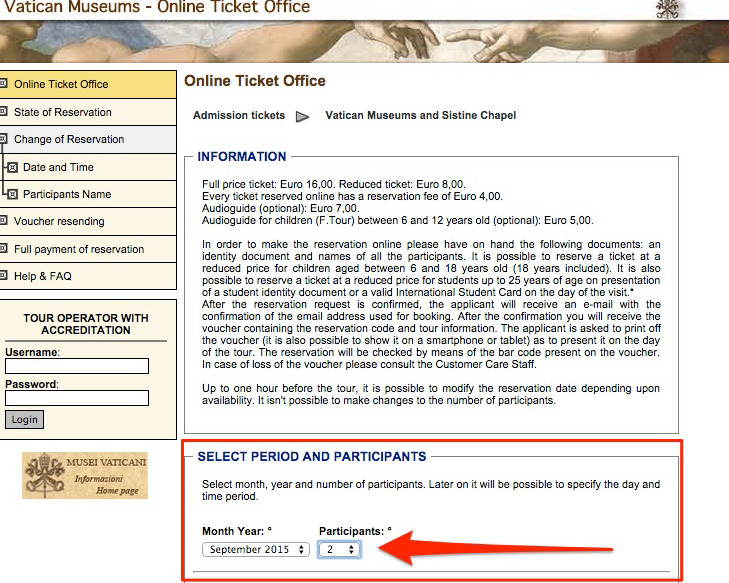 Buying tickets online is simple, and you can choose between guided tours or just admission. 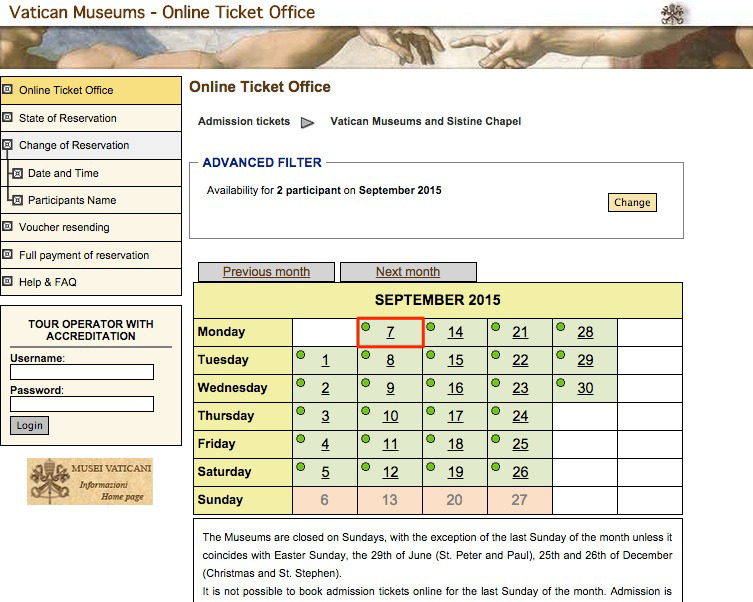 You can purchase Vatican tickets here, and Colosseum tickets here. 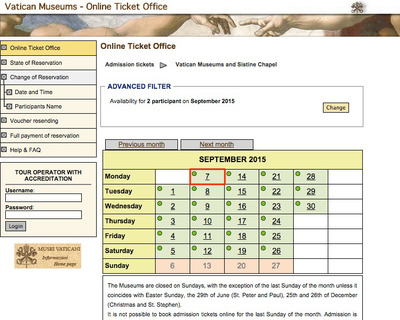 I didn’t make it to the Borghese Gallery, but you should make a reservation there too. 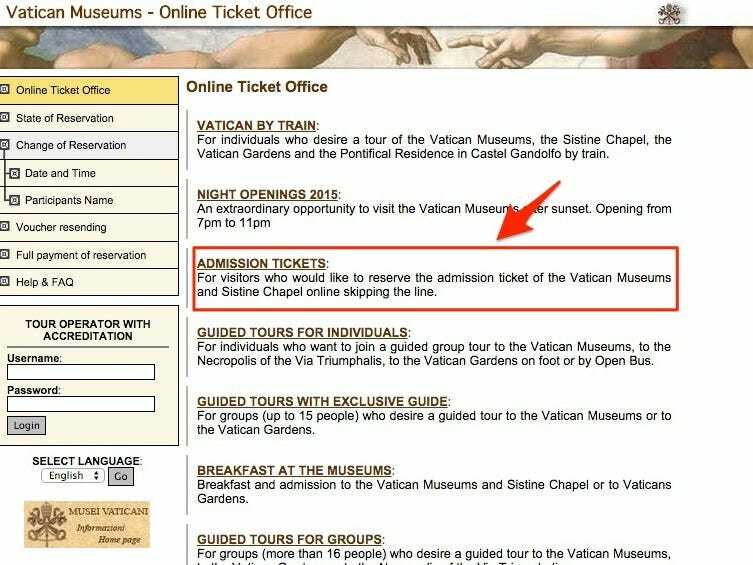 Here’s how to book your ticket at the Vatican. You then pay in advance, and are sent a voucher to print and take on your trip. That simple purchase will save you hours of time that might otherwise be spent waiting in line.